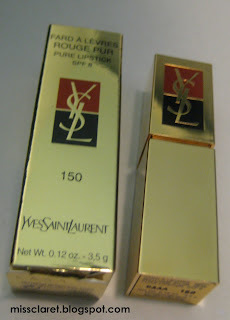 Ever since YSL released their glorious Rouge Volupte lipstick range, I have taken a lot of interest in YSL cosmetics. 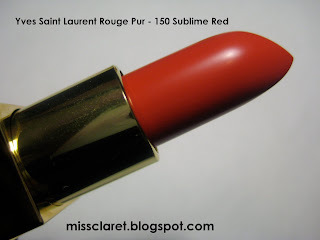 First find (after 4 Rouge Voluptes) was the stunning Rouge Pur - 150 Sublime Red. 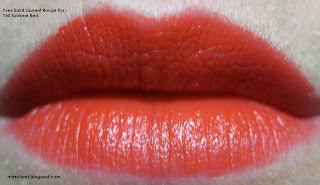 It is a light weight lip colour with staying power. Lightly fragranced with a fruity scent, it is a bright red that I am over joyed to have found. 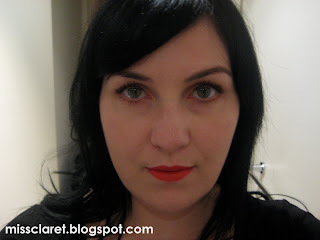 I just love this red/orange/coral lipstick. 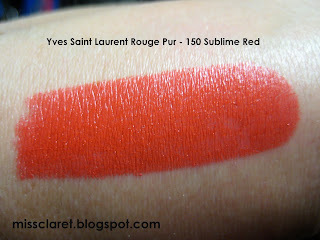 I was hoping to purchase the Rouge Volupte #16 but Sephora did not carry it. Great blog! And just adore your hair adornments! I am in the process of swatching more red lipstick shades and making a new range of hair adornments so stay tuned! With regards to the Rouge Volupte #16 you could try ordering online. I pick up a lot of my hard to get brands and shades at: www.strawberrynet.com. They have an amazing range, offer free shipping and are really reliable.